This project is funded by the European union and the Ministry of Foreign Affairs of the Czech Republic. The contents are the sole responsibility of its authors and can under no circumstances be regarded as reflecting the position of either the European Union or the Ministry of Foreign Affairs of the Czech Republic. 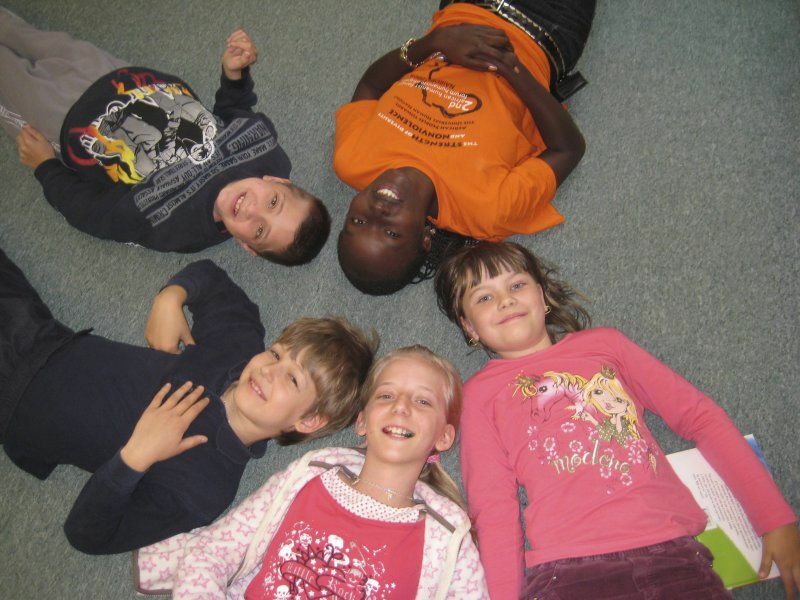 The purpose of this project is to make children and youths acquainted with Africa, situation in which African children live and with the work of Centrum Narovinu. The project is focused not only as development, but works also as a prevention of social pathological phenomena such as racism, xenophobia, chicane. Even though it doesn’t quite fit in the name of this project we sometimes organize actions like this for example in aged-persons homes. These programs for schools which have been realized for several years, are now organized in frame of over-arching project Through Education Towards a Universal Human Nation, which was created with financial support from European Union and from the Czech Ministry of Foreign Affairs program of foreign development co-operation of the Czech Republic and other partner organizations from Europe (Italy, Hungary) and Africa (Senegal, Kenya) take part in it. A part of the presentation is a projection of interesting documents from Africa, photo exhibition, sales exhibition of African hand-made products and above all the telling of our co-ordinators who regularly go to Kenya and organize projects in slums and in the country. There is of course always some time for discussion and questions. Presentation fro little kids can be brightened by Africa-themed games, dance on African rhythms or in case of more time even by graphic and plastic workshop – making of presents for African children or paintings for exhibitions in our African schools. One of the goals of presentations on high schools and universities is to find young people willing to actively participate in organization of the projects of Centrum Narovinu and especially willing to spread the thought of mutual support, tolerance and non-discrimination. A gathering for Kenya can be organized at school consequently after the presentation – it is possible to bring school needs (pencils, notebooks, crayons, chalks), toys, sports articles or well-preserved children clothes. We will take these things personally to Kenya on our journey and they will be used in projects which we organize with our Kenyan co-workers. We provide the back-up about concrete usage of these things in form of photos or videos or currently on this web site. Everything is organized by a net of volunteers and the presentations are free of charge. At the most we request travelling expanses in case of long distance.